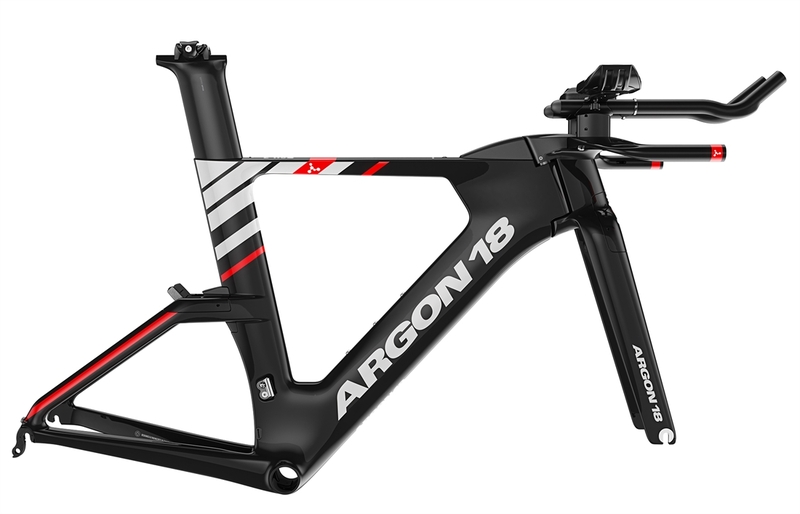 Famous for innovative design and cutting edge technology, Canadian based Argon 18 is synonymous with elite level bikes. 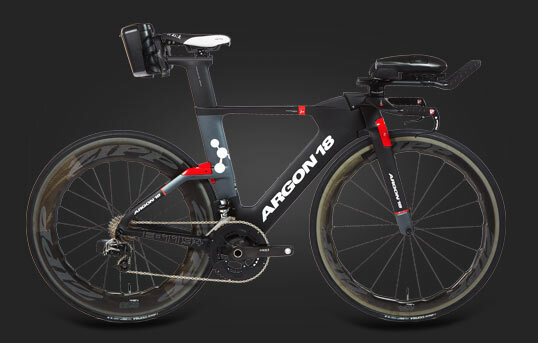 E-119 is a completely new platform, developed with the goal of achieving a new standard in triathlon bikes. 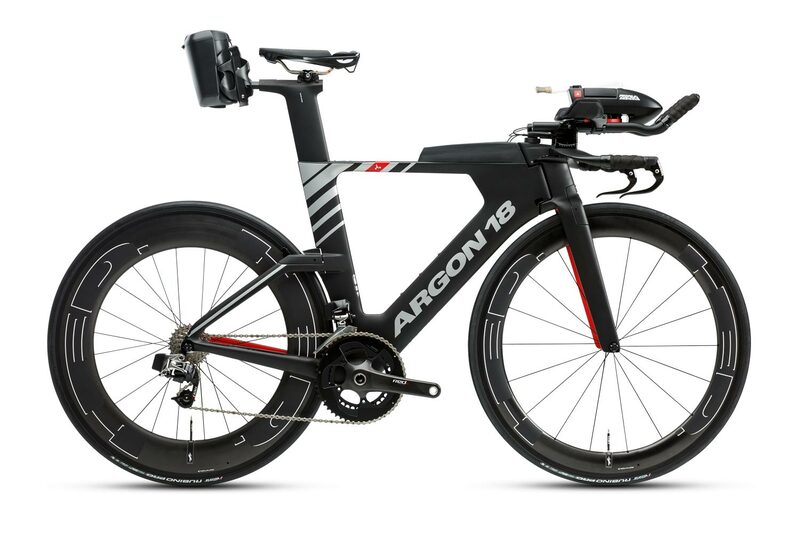 E-119 is not designed to be UCI legal, but it is designed to be very, very fast across a tri or Ironman course. 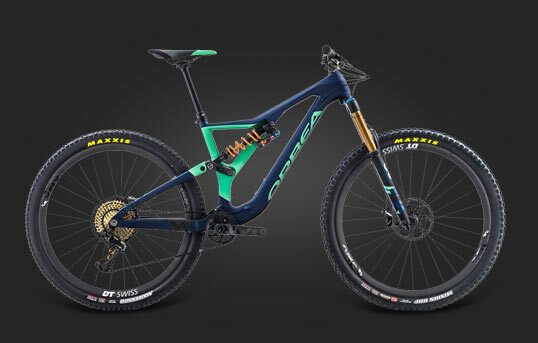 Everything about E-119 screams aerodynamics. 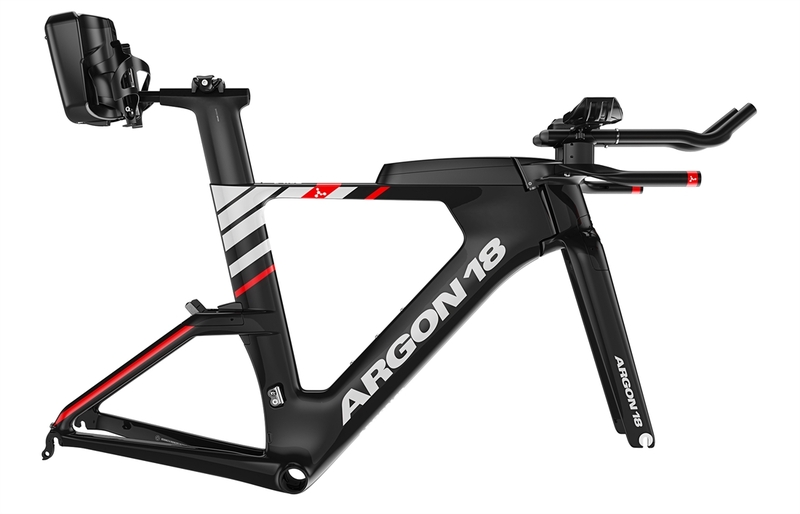 With a slender front profile and deep carbon tubing, E-119 achieves over 14% aerodynamic improvement from its predecessor. 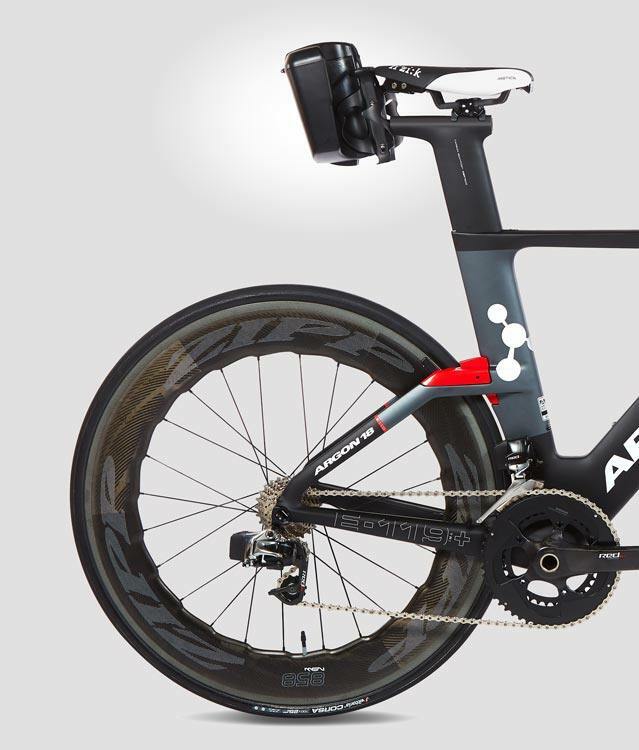 The frame and fork tubing take on an aerodynamic profile more familiar with aeroplane wings than traditional bike frames. 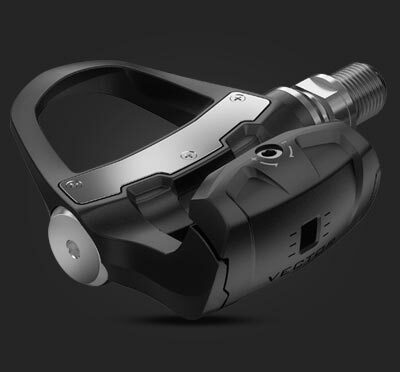 Front brake calipers are completely covered by removable aerodynamic hoods. 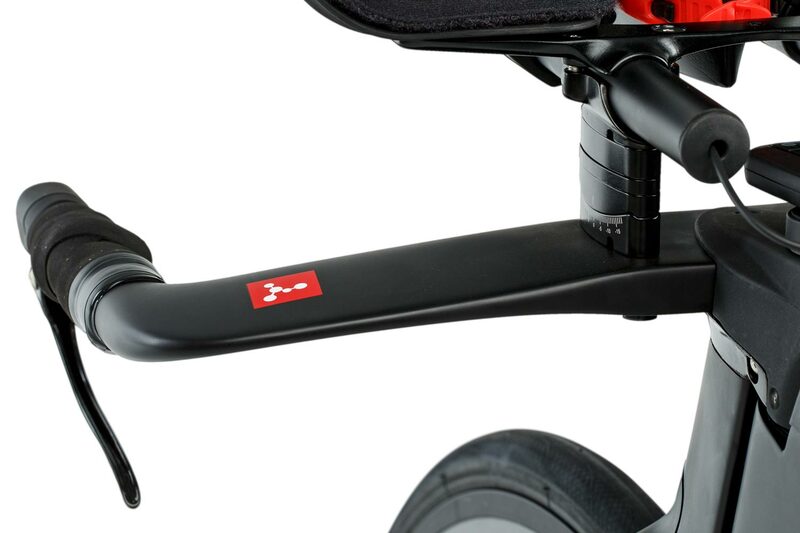 The rear brake is installed horizontally - covered and positioned within the seat stays to be concealed from airflow. 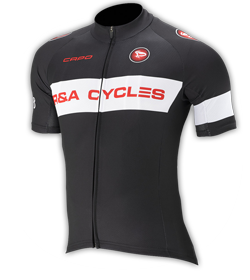 Hydration, nutrition and storage solutions are fully integrated with the bike's design for maximum aerodynamics and on-ride practicality. E-119's designers didn't work to improve aerodynamics by 14%, only to have it negated by accessories creating unnecessary drag. 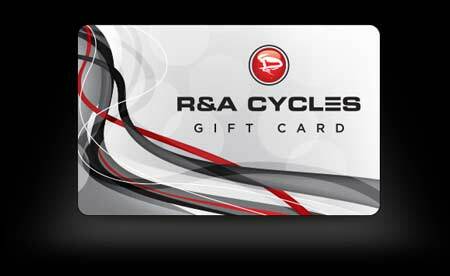 Every triathlete needs to eat and drink on the bike, so why not design the best possible solutions from the start? 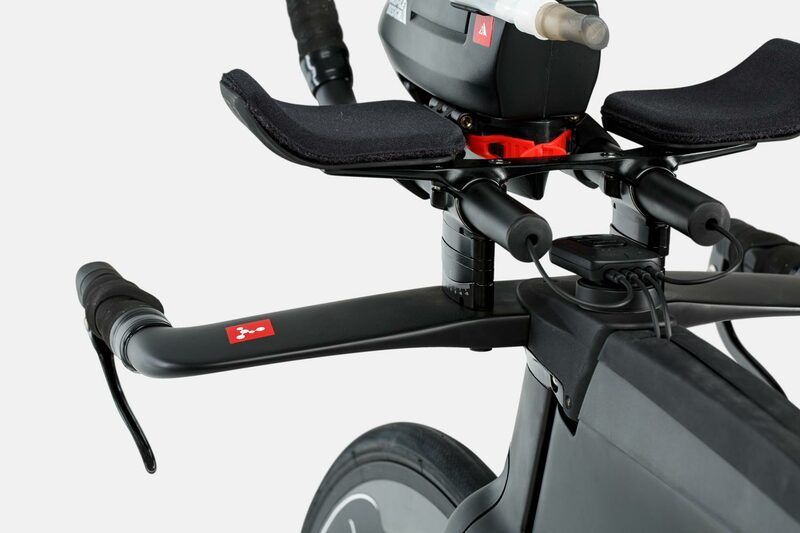 Tailwind is a rear mounted hydration system for up to 3 bottles. 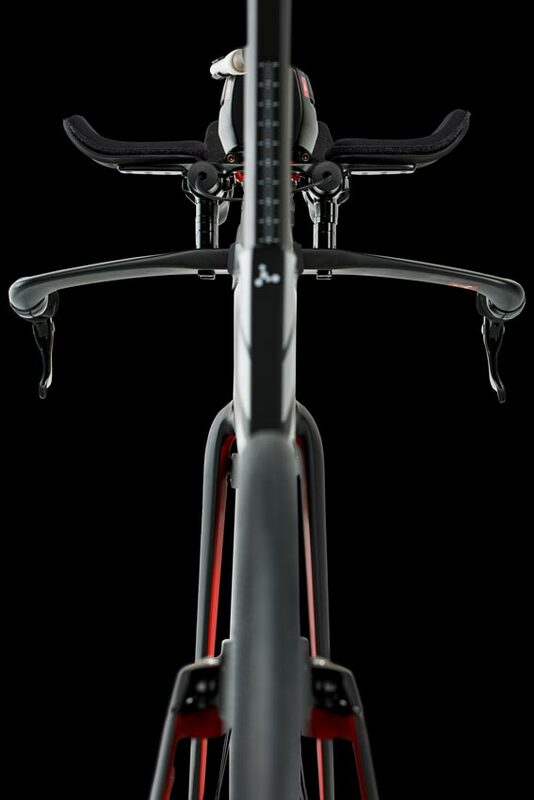 Amazingly, adding Tailwind actually gives a slight aerodynamic advantage by filling a low pressure area behind the saddle. 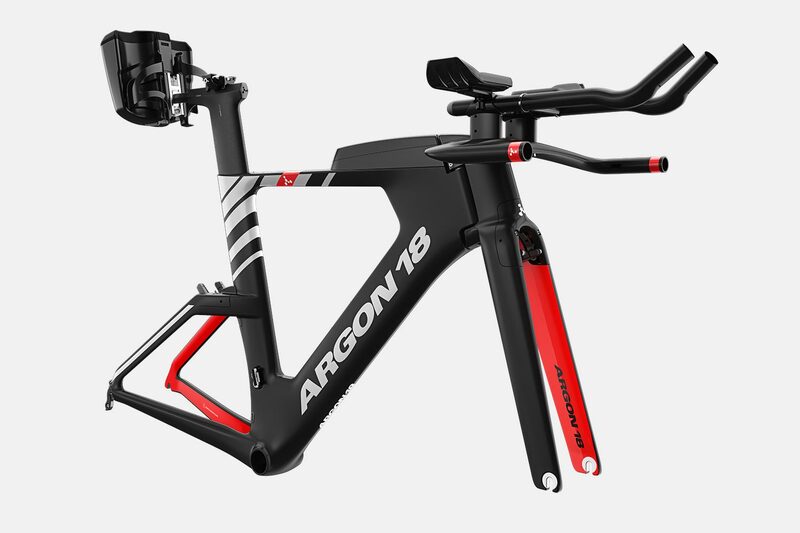 A low-profile storage container mounted to the top tube gives easy access to food, and a missile shaped front reservoir allows easy drinking in aero position. 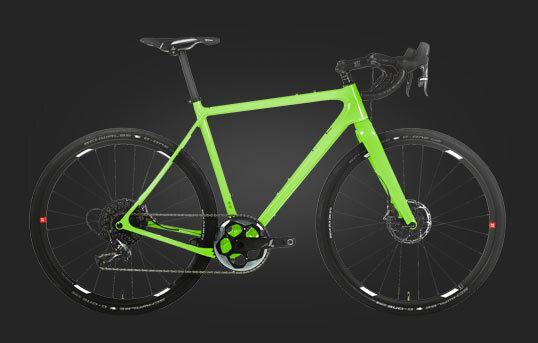 "Oneness" integrated handlebar and headset allows over 30 configurations. 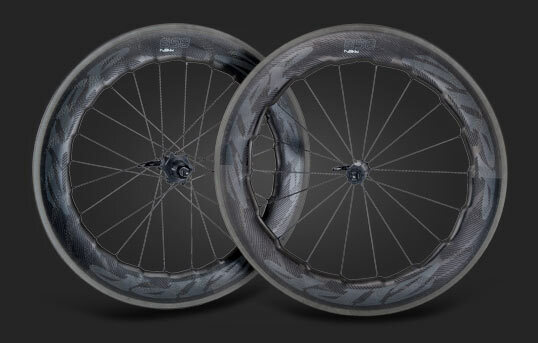 Paired with a highly adjustable saddle (+28mm;-28mm), E-119 can be perfectly customised for maximum aerodynamics, performance and comfort for any rider. 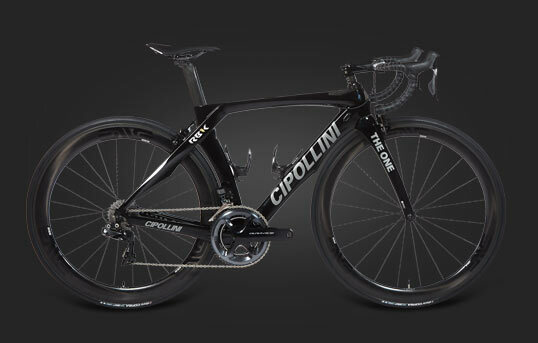 Understanding most races involve some kind of travel, E-119 features a well thought out, travel friendly design. 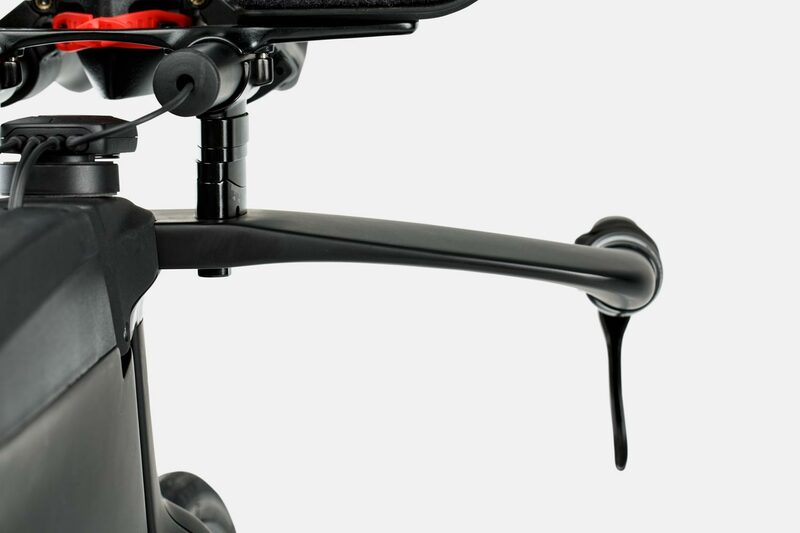 Riders don't need to worry about setting up complicated hardware, with cockpit and wheels designed to be easily removable and transportable.